Enjoy an exclusive journey through the grandeur of Africa’s Botswana. A land of contradictions, Botswana offers an impressive biodiversity of both desert and wetlands, and in these almost magical landscapes live abundant wildlife. For those who seek the ultimate African experience but desire a high degree of comfort, this luxury package promises exceptional encounters with the natural world. Spend your days immersed in adrenaline-washed adventures and in the evenings, relax in luxury tented camps and lodges that offer the finest attention to details. From Johannesburg, travel to Livingstone, and take in the full beauty that is the grand Victoria Falls. Explore the Okavango Delta to the Linyanti Swamps for a chance to glimpse hippo-killing lions, cheetah, wild dog, and leopard. 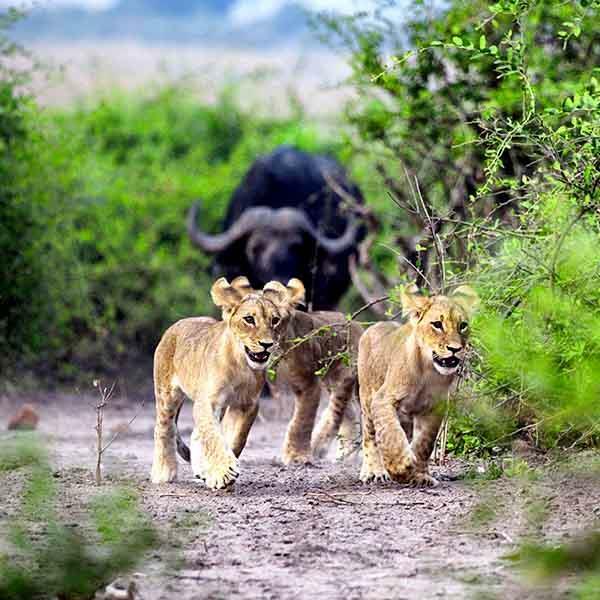 In the Okavango Delta, your expert guide will take you deep into the bush in an open 4X4 vehicle in search of roaming lions, elephants, zebra and buffalo. As if that weren’t thrilling enough, you’ll then hop into a helicopter for an incredible and unrivalled scenic tour which will allow you to venture into parts of the Delta inaccessible by game vehicle. A game drive through the sand dunes and rocky islands of the Makgadikgadi Pan, one of the largest salt flats in the world, will get you up close to gemsbok, giraffe, and springbok, while a visit to the Kalahari will put you in touch with the captivating meerkats. These hand-selected and exclusive highlights of Botswana are guaranteed to incite wonder and awe.